The Picasso Museum in Paris celebrates its 30th anniversary this year! This is the ideal opportunity to discover or rediscover the works and universe of the famous Spanish painter. For your own peace of mind, ParkingsdeParis.com advise you to book your parking place in advance in a nearby car park : Barbette-Marais car park is only 3 minutes on foot from the Picasso Museum and the Centre Pompidoucar parks is about 10 minutes' walk away. Since 1985, the Paris Picasso Museum has been housed in the Hôtel Salé, one of the largest Parisian mansions, in the heart of the capital. 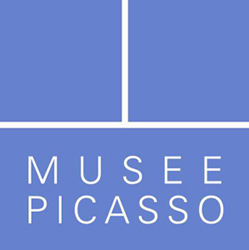 5,000 of Pablo Picasso's works are exhibited, along with around 200,000 personal records and his private collection, namely 150 works by Renoir, Matisse, Cézanne, Le Douannier Rousseau and many more. Musée Picasso Paris - 5 rue de Thorigny - 75003 Paris. Opening Hours : from Tuesday to Friday from 11.30 AM to 6 PM, Saturday and Sunday from 9.30 AM to 6 PM. Open until 9pm every third Friday of the month.